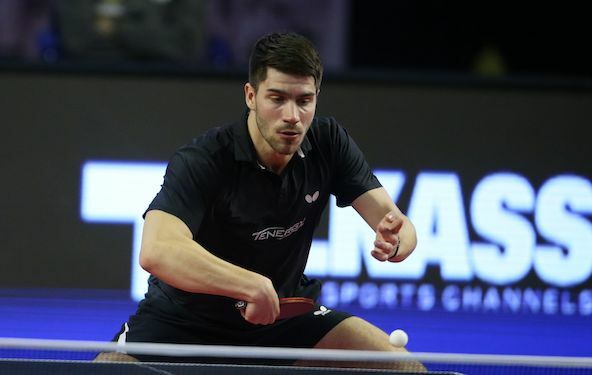 The 2015 World Championships quarter-finalist, Patrick FRANZISKA is ready for the new big challenge at the forthcoming Liebherr 2019 ITTF World Table Tennis Championships, Budapest, April 21-28. The 26-year-old German travels to Hungary with a lot of confidence, bearing in mind his recent achievements: Men’s Doubles silver (with Timo BOLL) at the 2019 Qatar Open and fantastic games in the 2018/19 Bundesliga semi-finals, where he was crucial man in Saarbrucken’s win over reigning champion Borussia Dusseldorf. He won all four points against Timo BOLL’s side. “My current shape is quite good. I haven’t been injured in a while and I played good results lately”, stated Patrick FRANZISKA, current world no. 18, whose best Men’s Doubles and Mixed Doubles results at World Championships are Round of 16 (Dusseldorf 2017) and Round of 32 (Paris 2013) respectively. He has big expectations in all three competitions, playing alongside Timo BOLL (Doubles) and Petrissa SOLJA (Mixed Doubles). Regarding younger players, capable to make big breakthrough in Budapest? “We have many younger players especially in Europe who can upset favourites I think. DANG Qiu from Germany for example qualified for his first WCH and I think he can upset some favourites,” responded Patrick FRANZISKA.